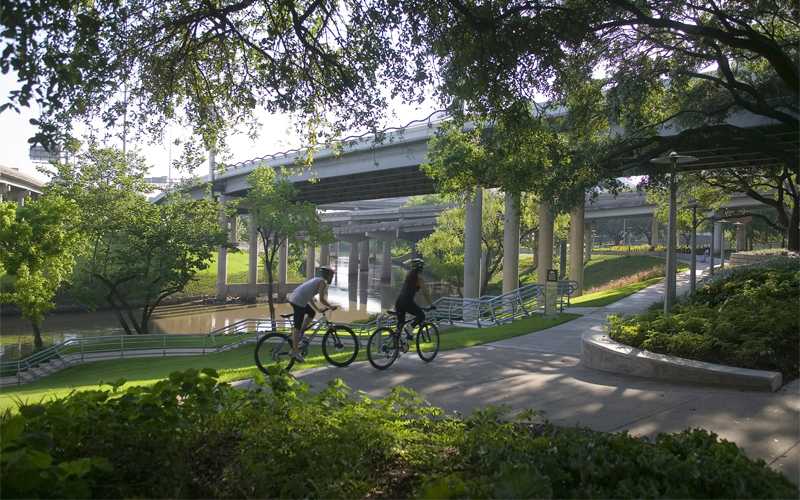 transportation, livable communities, and green infrastructure, this three-part "Sustainability Toolkit" provides online toolkits, assessment tools, checklists, modeling software, and case studies designed to aid policy makers and design professionals roll out sustainable projects at the regional, urban, and local levels. Part one of this Sustainability Toolkit offered a range of environmental models. Part two examined economic models. Part three, here, outlines social models. "Sustainability Toolkit: Social Models" focuses on social sustainability, which involves the development of resilient communities that meet residents' health and social needs over the long-term. In a socially-sustainable community, residents are empowered; have equal access to green, healthy spaces; can choose among multiple transportation options; and enjoy a high quality of life. At all scales, public participation is crucial for ensuring planners and designers keep existing communities in mind and create social value for all citizens. The toolkit is arranged from macro- to micro-scales, beginning with sustainable regional planning, and moving to sustainable cities and communities planning, sustainable neighborhood planning, and, then finally, site-specific tools related to sustainable landscapes and green buildings. Community resiliency is rooted in sustainable regional planning. By applying sustainable design principles to land-use, energy production, transportation, and infrastructure planning, regions can facilitate the growth of communities resilient to social, environmental, or economic change. Sustainable regional planning also enables regions to empower local communities, expand transportation options, support equal access to green spaces, mitigate environmental health issues, and improve quality of life. Even at the regional level, a people-centered framework is needed so local governments can implement socially-sustainable policies and programs. For example, sustainable regional planners can commission plans, data, and analysis on key social and health indicators in a region, which community governments and organizations can then use to address social and health problems at the local level. In addition, at the regional level, protecting important social and cultural assets like historic landscapes and buildings, parks, museums, and botanic gardens is crucial to creating regional identities and connection to place. Sustainable urban and community planning can create communities where people enjoy healthier, more active lives. Cities and communities that offer residents a range of transportation, housing, and recreational options create social value and lengthen the lives of their citizens. Social value results from incorporating communities' voices into local planning and design decision-making processes. Places and programs with high social value are then cherished and preserved by local communities. Socially-sustainable planning approaches have multiple benefits. For example, improving access to multiple forms of transportation, including walking, biking, public transit along with cars, can reduce combined housing and transportation costs, the two primary factors determining affordability. Cities and communities with multiple transportation options are more resilient to changes in population and can accomodate residents with different levels of income equally. To leverage existing urban or community networks, city and community planners and designers can employ a range of public participatory frameworks and Web-based tools. The idea is to integrate the goals of existing networks into plans that can maximize social sustainability for the entire community. preserving and building upon local cultural and community assets, including historic landscapes and buldings, parks, museums and botanical gardens. surveying residents on local environmental problems and creating plans for addressing negative health impacts of the built environment. involving residents in neighborhood street cleaning, tree planting, and brownfield remediation projects. These are green neighborhood jobs. improving safety by redesigning public spaces for universal access and forming neighborhood self-policing programs. Socially-sustainable landscape architecture practices improve the accessibility and public health benefits of parks, streetscapes, and other public paths and corridors. Complete (and green) streets and other best practice urban and active-design landscapes can reduce obesity and improve overall health by increasing opportunities for basic exercise. The use of native, allergen-free plants in landscapes can reduce the costs associated with visits to the emergency room. Strategically-placed open spaces and community facilities can also be used to facilitate social programming. For urban neighborhoods, brownfield redevelopment offers the potential to turn contaminated industrial sites into landscapes highly valued by the local community. 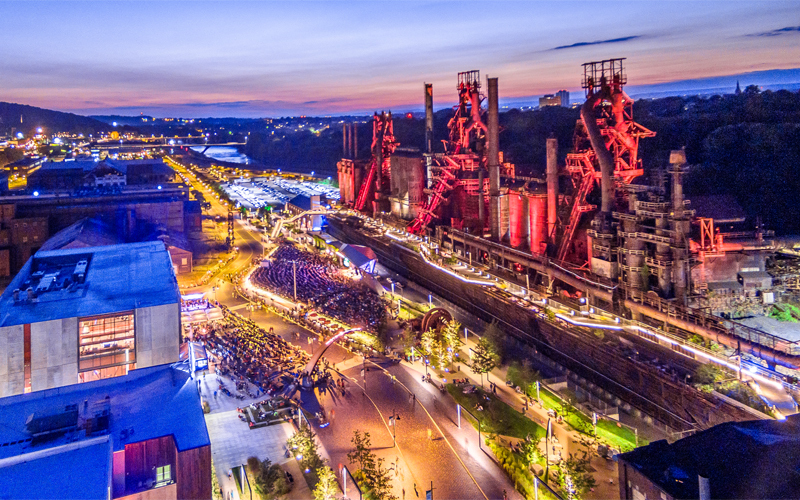 Turning brownfields into parks, for instance, can help cities and communities turn previously unproductive land into a space for exercise, concerts, and community events. Landscapes that meet the basic daily social and health needs of a community can actually relieve stress and foster a sense of community. In addition, specially-designed restorative landscapes can be connected to hospitals, rehabilitation centers, and botanic gardens. These landscapes accommodate all users at various stages of recovery and often have postive spill-over benefits, improving the health and well-being of surrounding communities. Green buildings designed not only for energy efficiency, but also for health can offer an array of advantages over traditional building design. The inclusion of natural daylight can improve mood and create a sense of wellbeing. Efficient ventilation systems can dramatically improve indoor air quality. Open courtyards and vegetable gardens can both calm frazzled nervers and facilitate the growth of valuable social connections. Green schools and senior citizen facilities, which serve sensitive populations, can be designed and maintained with the specific health needs of those groups in mind. In addition, green and healthy office buildings not only help increase productivity, but also offer added health benefits such as lower stress levels, which reduce sickness and absenteeism. Workers tend to stay at their jobs longer, reducing the costs of recruiting and training new staff. Healthier employees and local community members also mean lower healthcare costs.